The Shelta Regis umbrellas are now available at Heat and Grill and are one of Shelta’s premium umbrellas. They come in a range of colours with a wide range of positioning options. They have a cantilever design and are operated by a winder to open and close the device. Shape options include 3.0 x 3.0m square or 3.5m octagonal. It has a versatile 360 degree rotation from the mast. This unique umbrella design with varied colour options has a relaxed and casual feel, which will complement any outdoor area. 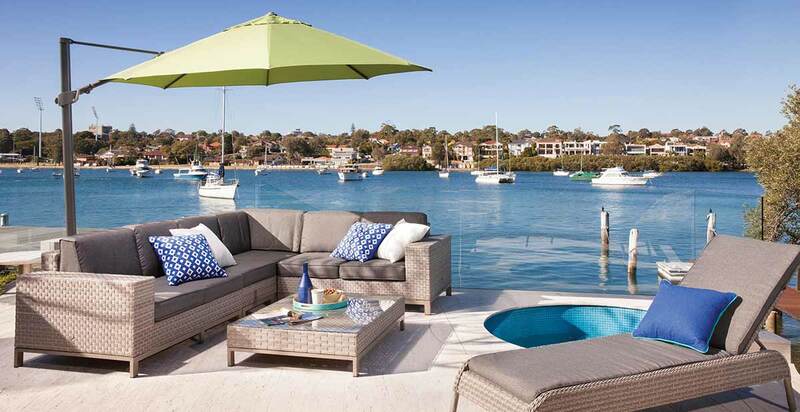 Outdoor umbrellas are not just for making a colourful impact in your backyard but they are also used for protection from the sun. The O’bravia canopy material of the Shelta Regis umbrellahas exceptional UV coverage, with a rating at 98% protection, which translates to UPF 50. Protection from harsh heat for the whole family.